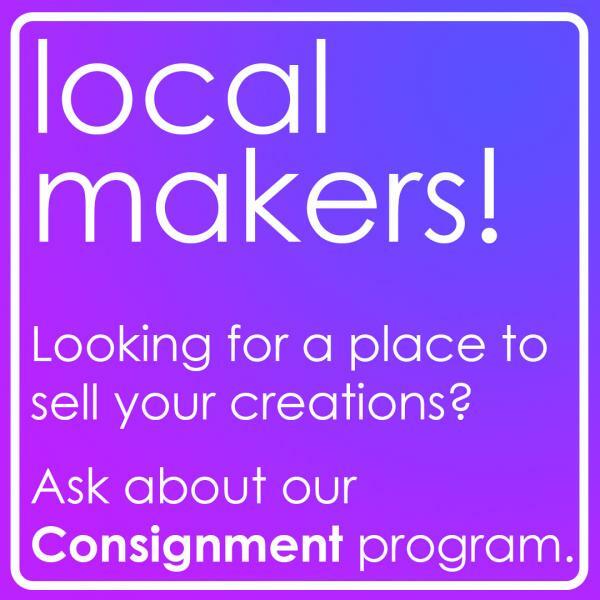 If you are a local maker, and need a place to sell your hand-made creations, we want to hear from you! We'd love to stock your hand-crafted items on our shelves and enable you to sell them on consignment through The Bookloft! To find out about our Consignment Program, stop in during the week to speak with either Julia or Giovanni. Be ready with restock quantities of your items - we might start off with two or three, but if they sell out, we'll be calling for more!